LONG BEACH, CA—Laserfiche—a provider of innovative enterprise content management (ECM) solutions—has been named a leader in the Nucleus Research ECM Technology Value Matrix 2018 for its superior end-user experience and robust functionality. In addition, Laserfiche is the vendor ranked highest in the matrix for usability. “Advanced functionality is valuable only when it’s easily adopted and provides a great customer experience,” said Nucleus Research analyst Barbara Peck. 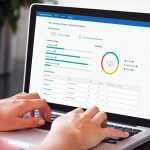 “Laserfiche excels in both functionality and usability—two characteristics evaluated in the Value Matrix that indicate an application’s ability to deliver both ROI and value over time. Laserfiche’s focus on robotic process automation (RPA) will further support enterprise-wide digital transformation by enabling non-technical users to train software bots to complete repetitive, routine tasks. As a result, organizations can reduce risk of human error, reduce costs and empower employees to focus on more strategic matters. 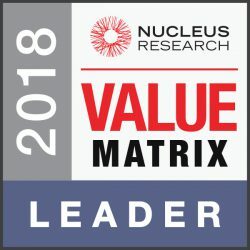 Download a copy of Nucleus Research’s 2018 ECM Technology Value Matrix here.